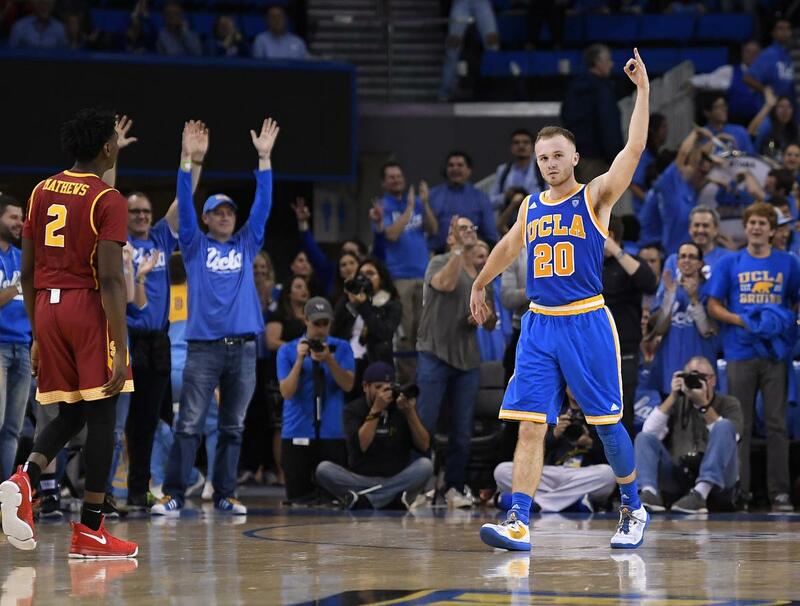 Is Bryce Alford a good enough shooter to be NBA material? Bryce Alford was the most athletically disadvantaged of UCLA’s eight rotation players last season. He was the weakest on defense. He had the most trouble driving to the basket – he shot 46 percent at the rim, 18 percent less than the closest UCLA player. 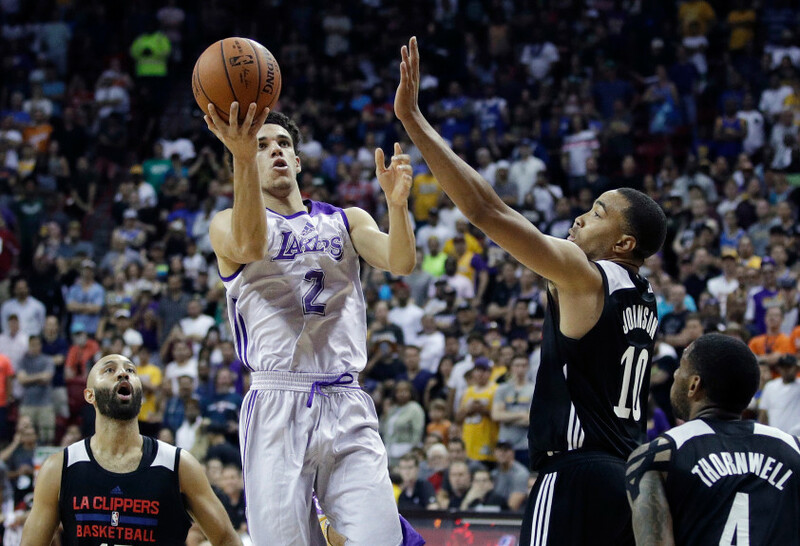 But the 6-foot-3, 185-pound guard may find his way onto an NBA roster because his strength is the fastest-rising commodity in the league. Alford shot 43 percent from 3-point range his last season at UCLA. And as far as volume is concerned, he set the school’s single-season and career record for 3-pointers, surpassing the marks of nine-year NBA veteran Jason Kapono. Alford has been invited to his share of workouts approaching Thursday’s NBA draft, including by both the Lakers and Clippers, and the Pacers from his native Indiana. Alford’s assessment of his chances to be one of the 60 draft picks? He is right on the edge, meaning he could be one of the 60 or he may not. He was clear about where he wanted to end up. Strengths: In his one season as a non-point guard, Alford proved his value as a specialist. He didn’t have the athleticism to do much other than be a spot-up shooter, but he proved his strength by setting a school record for 3-pointers on top of a vital role as team’s primary vocal leader. To put Alford’s shooting accomplishments in perspective, he shattered UCLA’s school record for 3-pointers in a single season by making 116, passing Jason Kapono’s career record for 3-pointers in the process. The difference this season? Efficiency. Alford shot a career-high 43 percent from 3-point range after shooting 38 percent his previous three seasons combined. Weaknesses: UCLA’s team defense evolved into a decent unit during the final third of the season, but Alford was the most glaring reason why the Bruins needed to be so adept at help defense. Alford was the first to acknowledge he wasn’t blessed with an abundance of athleticism, but his honesty didn’t help him stay in front of his man. Defense is what kept UCLA from being a convincing championship contender and Alford was the poster boy for the problem – though there were plenty of others who contributed to the Bruins’ defensive deficiencies. UCLA head coach Steve Alford and guards Lonzo Ball and Bryce Alford talk about UCLA’s 79-67 win over Cincinnati on Sunday in the second-round of the NCAA Tournament. Ball led the Bruins with 18 points, seven rebounds and nine assists with only one turnover as he hit back-to-back 3-pointers in the second half that spurred UCLA to the win. Alford had 16 points (13 in the second half) on 5-for-13 shooting with three assists and one steal. UCLA advanced to its third Sweet 16 in four years and will face No. 2 Kentucky on Friday at 6:40 p.m. PT in Memphis. Guards Lonzo Ball and Bryce Alford talk about rejuvenating the team’s offense after the Pac-12 Tournament and preparing for the Big Dance.